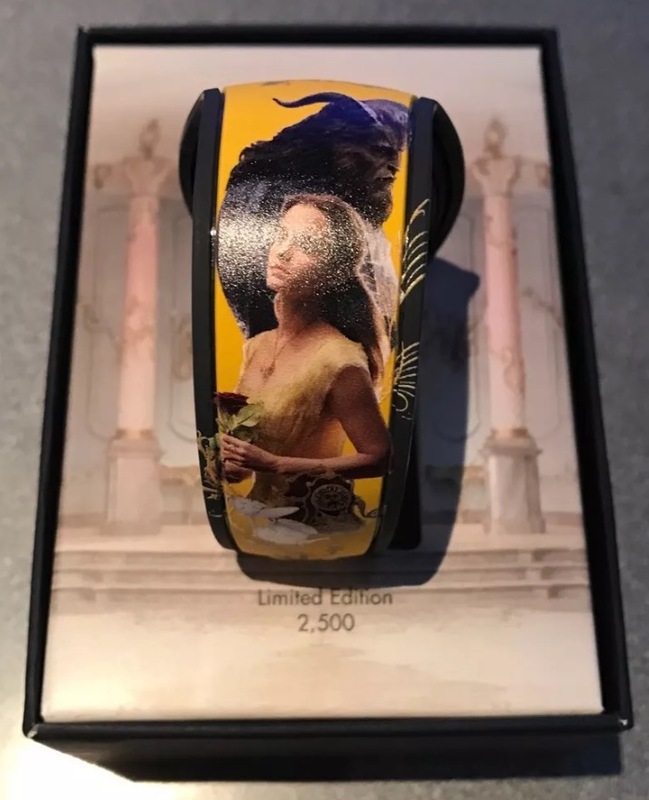 In what appears to be a surprise release, a new Limited Edition 2500 MagicBand featuring characters from the live action movie Beauty and the Beast has appeared for sale today in the theme parks (they are in Epcot at Mouse Gears currently) This is the second design for the upcoming Beauty and the Beast movie, so the original blue band must be selling quite well for Disney to put out another version. 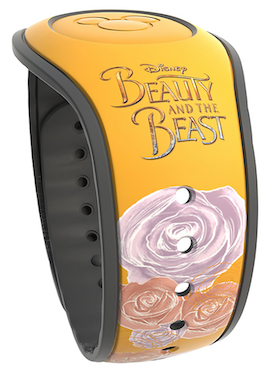 This should make special effects at entry touch points at the parks. The price is $32.99 and the SKU barcode for this item is 400020232649. I found out about this from an eBay auction this morning. 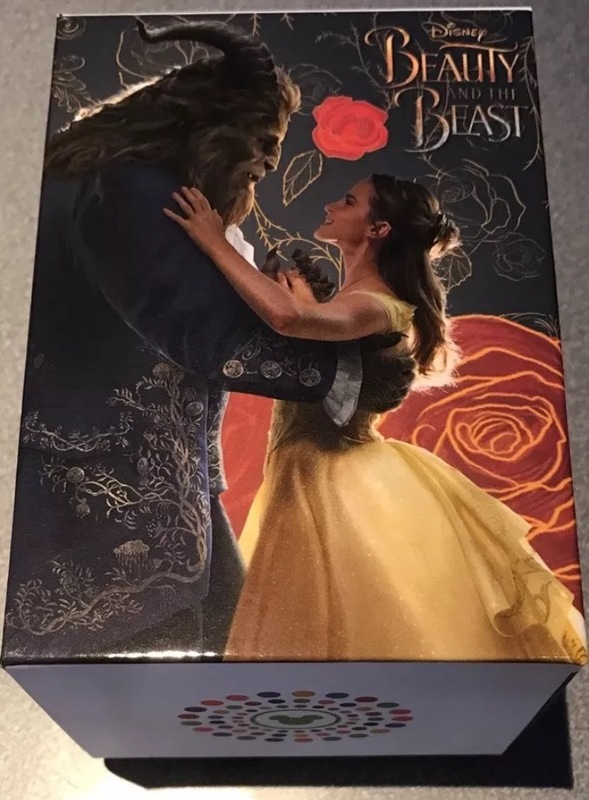 I don’t usually link to eBay auctions, but the seller was kind enough to send me some information about this item and some pictures for the site. 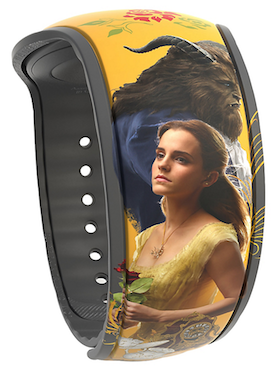 7 Responses to "Second Limited Edition MagicBand for live action Beauty and the Beast for sale"
Picked it up yesterday, over at Pin Traders, inside Disney Springs…really nice band!!! 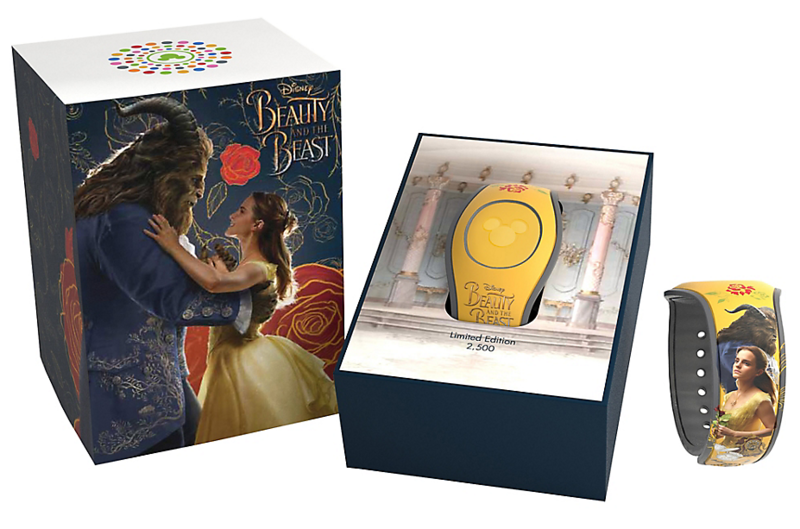 It’s available today online and through the Disney Store app. Jumped on it when I saw it. Did anyone that bought it use it yet? I was wondering what the sound was. 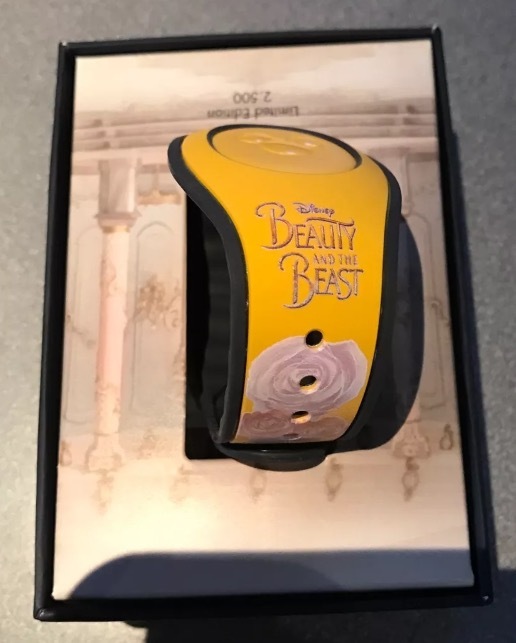 Hoping it’s a clip of “Tale as Old as Time”! Was this at the point of entry at Magic Kingdom. I haven’t ever heard any sound or got colors or anything special from mine.. I did not post that video, however, it does appear to be at the MK entry point. I have some bands that don’t always work either. I’ve heard if you have to many bands active on your MDE account that can affect it as well. Not sure how true that is, but have heard that. If you have a lot active maybe turn some inactive. However don’t deactivate them. That’s only if you lose them.